Description of "ELEMENTARY STATISTICS IN PHYSICAL EDUCATION"
THIS BOOK IS USED FOR UNDER GRADUATE PHYSICAL EDUCATION STUDENTS. THE AUTHOR WAS WORKED AS A PRINCIPAL AT St.JOHNS COLLEGE OF PHYSICAL EDUCATION. HE HAD A 10 YEARS EXPERIENCE IN THE FIELD OF PHYSICAL EDUCATION. 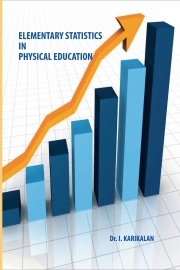 Reviews of "ELEMENTARY STATISTICS IN PHYSICAL EDUCATION"